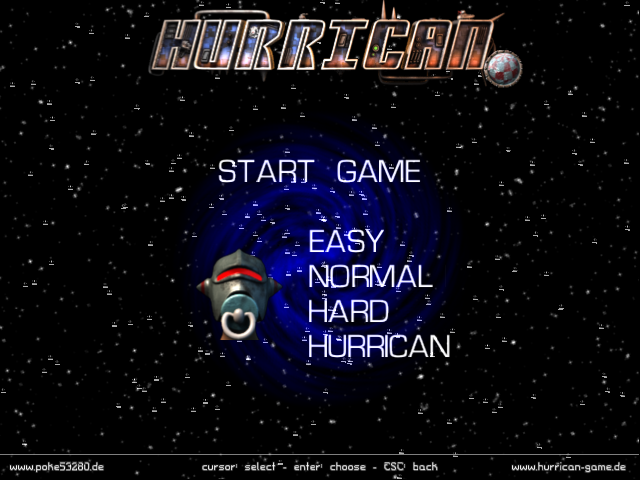 Today I wanted to do a mini-review of Hurrican, a game ported by HunoPPC (of 1941 Extreme Deluxe 2 fame) from the original Windows version for AmigaOne X1000 and AmigaOS4 owners. I never played the original Windows version and to be honest never heard of this game until it was released for AmigaOS4! Hurrican is free and the latest version released (this month) is available for download on OS4Depot.net. 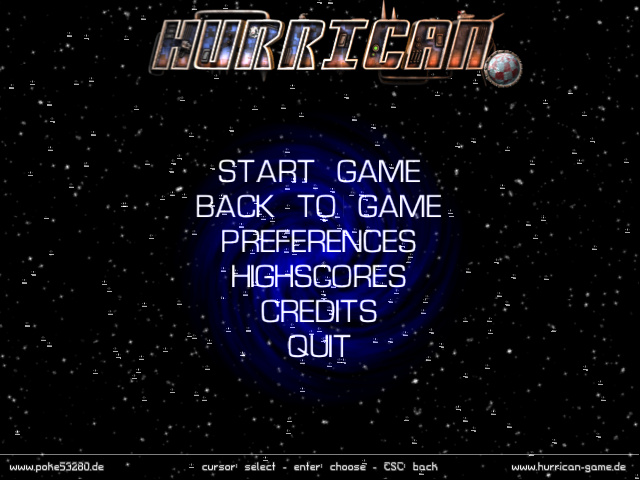 The website for Hurrican is http://www.hurrican-game.de/ but you can't download the latest version from this website. It does include some YouTube footage of Hurrican pre-release version and some other information about the game if you are interested but is a bit out of date! 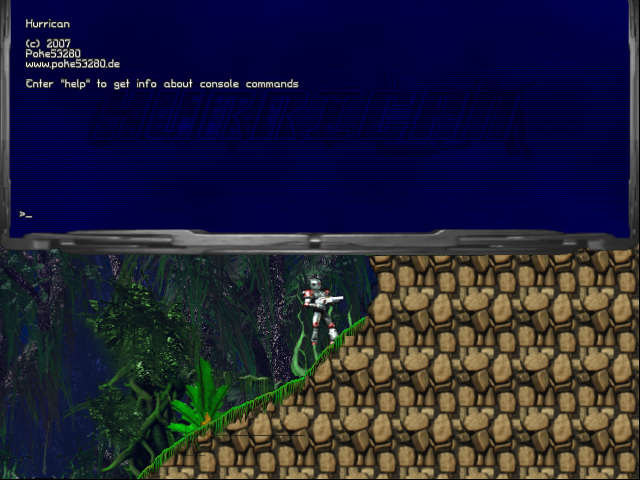 Basically Hurrican is a modern day remake of the classic game series called Turrican, which was available on Classic Amiga. 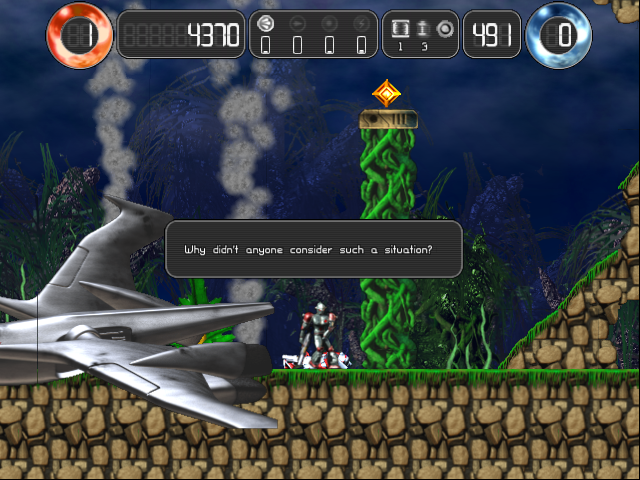 There were three games in the Turrican series, with the last released in the early 1990's. For more information about the original Turrican game (if it is new to you) this Wikipedia entry will get you up to speed! 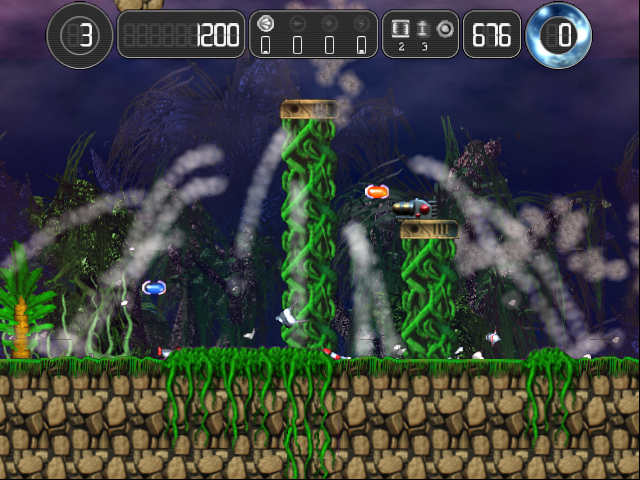 Essentially Hurrican is a traditional platform game where you need to reach the end of each level shooting enemies, collecting powerups for your weapons and health. 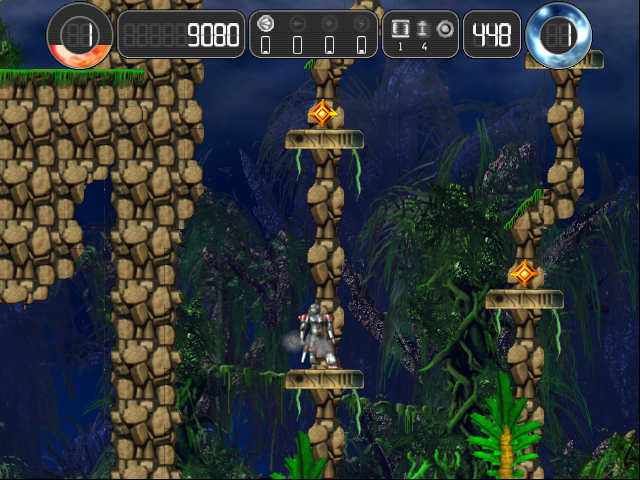 You can shoot in all directions as per the original Turrican game, indeed most gameplay elements from Turrican are present in this remake. 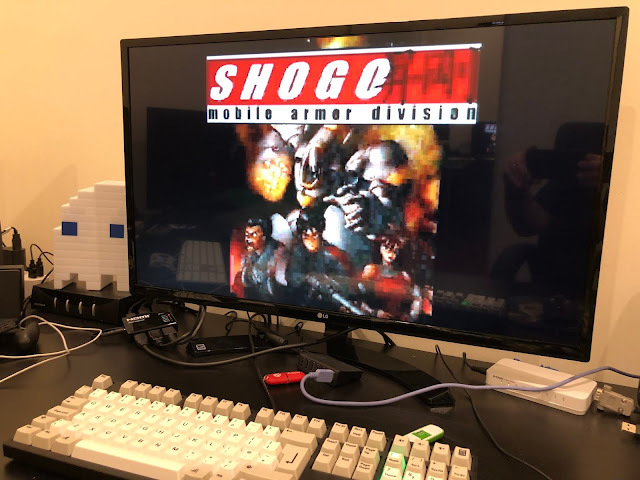 The AmigaOS4 game port has been through multiple versions fixing bugs and the latest version 1.0.6 is now able to be enjoyed on the X1000 with the help of the Wazp3D library. You must install Wazp3D first before you can play Hurrican on the X1000. 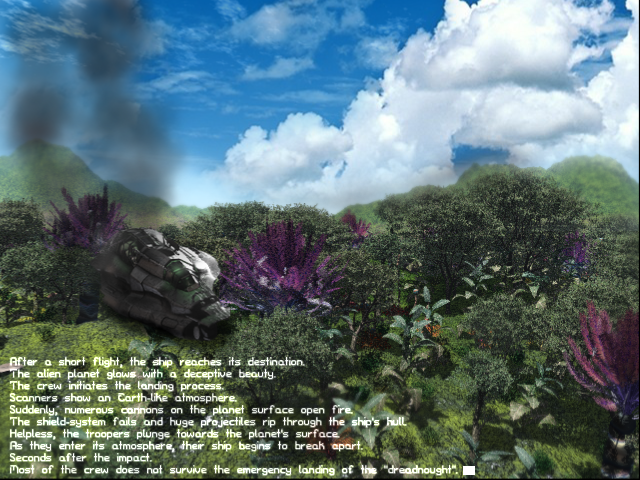 A quick background now on Wazp3D - Wazp3D is a software OpenGL renderer library (written by Alain Thellier) to allow the X1000 to run games that require 3D OpenGL graphics drivers by emulating the functions required, albeit at a much slower speed than if the 3D hardware was useable. Given that the X1000 Radeon HD Graphics card is still waiting for it's 3D graphics drivers to be released, we need to use Wazp3D in order to play games that require OpenGL. I will assume at this point that you have downloaded Hurrican.lha from OS4Depot and extracted it somewhere on your hard disk. The latest version of Wazp3D library (if not already installed) can then be downloaded as Wazp3D.lha from OS4Depot.net. In addition to this there is a separate config file called Wazp3D.cfg needed for Hurrican to work with Wazp3D which needs to be put into the extracted Hurrican_1.0.6 folder (whever you extracted it) and also put in the System:Prefs folder. That way the config file will be used by any game that needs to use the Wazp3D library with the optimal settings pre-setup for the X1000. You can download the Wazp3D.cfg by right clicking on this link! Note: It is necessary to put the above Wazp3D.cfg file into whichever game folder requires Wazp3D before running the game for the first time. Otherwise Wazp3D will create a default Wazp3D.cfg file in the game folder which will not work well with the X1000. 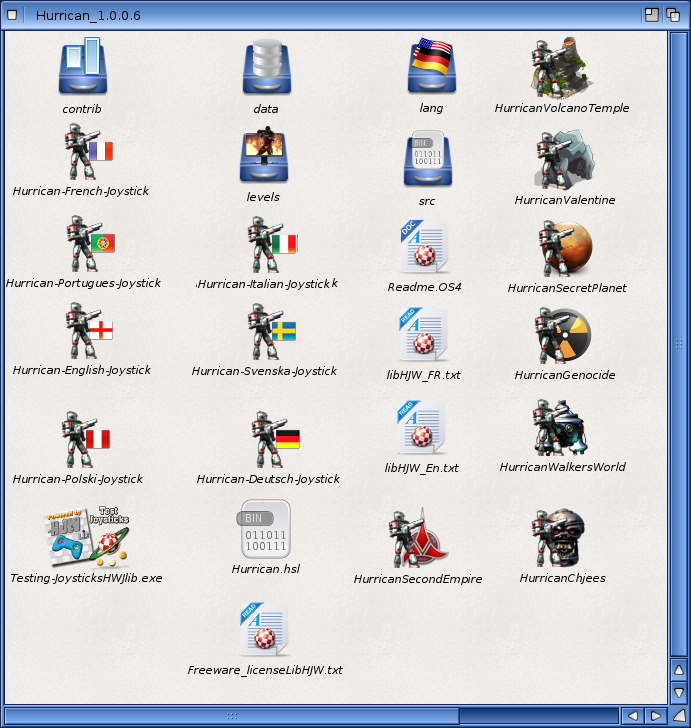 If there is already a Wazp3D.cfg file in the game folder simply overwrite with this correct Wazp3D.cfg file. If you don't already have Wazp3D setup on your X1000, let's quickly walk through what needs to be done to get it working for Hurrican. 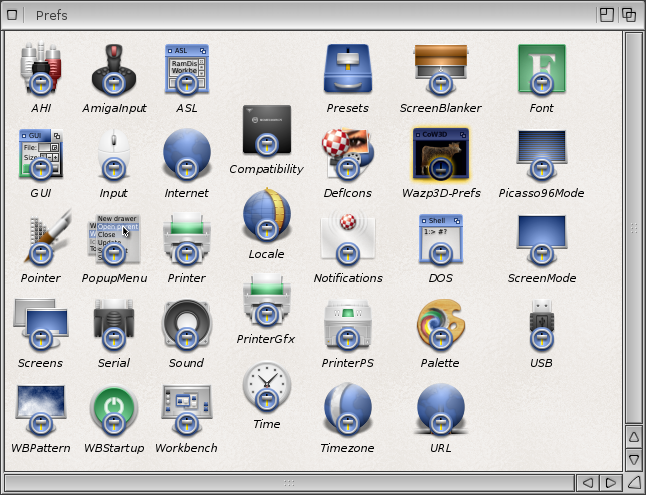 Ok, to finish click the close gadget to save the Wazp3D preferences. We should now be good to play Hurrican! Lets now move on to the game itself. These game icons all launch the game in full screen. It is possible to run Hurrican in window mode using --windowmode parameter running the Hurrican executable from the command line. I guess most people will run it full screen though. I double clicked on the Hurrican-English-Joystick icon to start with. 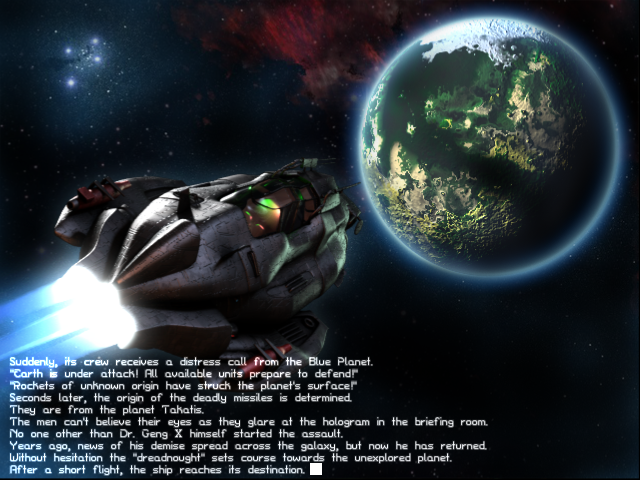 The stars rotate around, although some small graphic glitches in the stars are evident - I suspect this is to do with the Wazp3D emulation support rather than the game itself. One annoyance is that you can't see which menu item you are on when navigating and have to guess how many times you presses the arrow keys to select the correct menu item. I hope they fix this in the next release. Being fairly bad at these sorts of games I chose the Easy level! Now we get into the game proper, and it really is classic Turrican style gameplay with modern colourful graphics (without the classic Amiga Turrican's colour limitations). 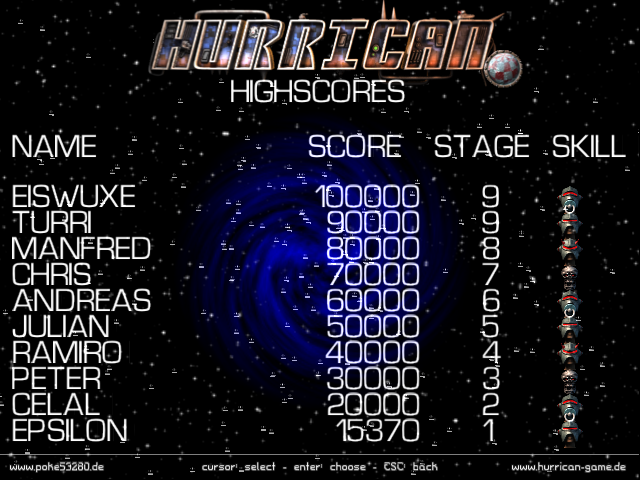 Having played Turrican a lot, I have to say Hurrican feels quite responsive and the controls work mostly quite well. There is also some humour evident if you don't move the Hurrican character for a period of time - he talks about needing urgently to go to the toilet, the suit not being built for it and intending to complain about it when he returns to Earth! There is a number of weapons that can be activated with the various joystick fire buttons (I have 4 fire buttons on the USB Competition Pro joystick I use - available from Amigakit.com or vesalia.de). It is possible to play the game using a keyboard, but I recommend using a USB Competition Pro joystick for the Classic Amiga feel! The game itself runs smoothly on the X1000 with no noticeable slowdown during my testing. It is worth mentioning also that the water and water falls don't look quite right in the levels, which is acknowledged in the Hurrican documentation and is planned to be fixed up in a later release of the game. 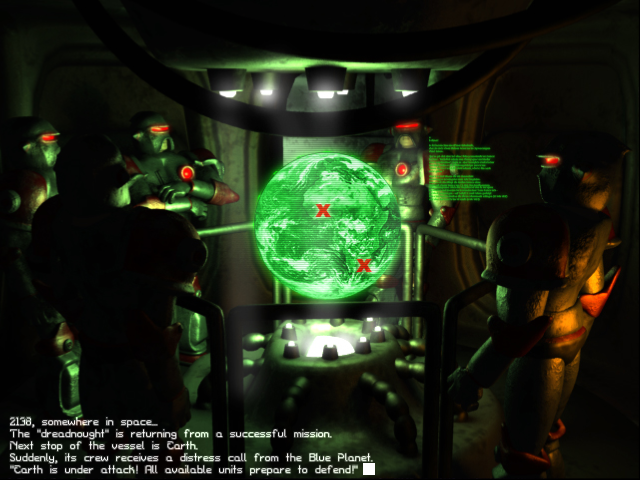 There is also a nice High Score screen to show off your high score when you inevitably get killed, but no internet integration of this like some other games available like Swamp Defense. It would be nice to have this integration but it is free after all, so I won't criticise it for that! There are still some little minor graphic bugs to fix up and I am sure there will be more updates as new versions have been released quite frequently of late. I believe Hurrican is a good remake of the original Turrican, fun to play, and well worth the time to get Wazp3D up and running first to try it out on your X1000! I'd say both are "equally true", it's just that hardware acceleration is only available for certain older 3D cards. Same with hardware video scaling. Actually it's a software Warp3D renderer (as the name suggests). As far as I know, it's the same minigl library (that provides partial OpenGL support) that works on top of either. Warp3D (as in API) itself should be considered deprecated, it's only there for backwards compatibility. For me, it's one of the best things going on in Amiga-land. Great blog! Love it! And you don`t miss anything new, so nice! Thank you for your blog, I FINALLY got Hurrican work on my X1000. Site Contents are copyrighted. Do not reproduce without permission. Picture Window theme. 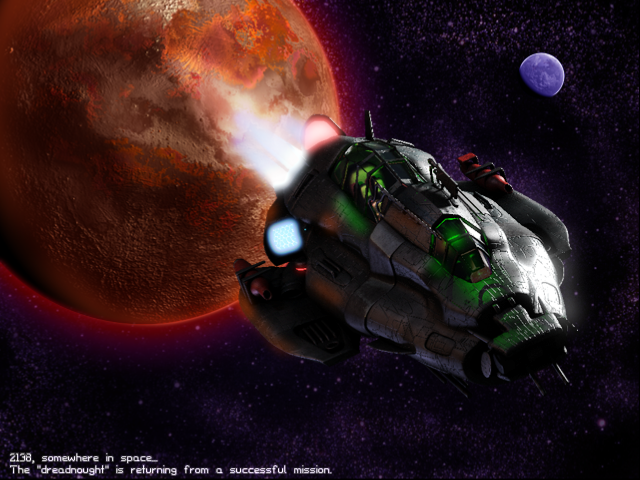 Theme images by mammuth. Powered by Blogger.